After being diagnosed with AIDS, he became a visible public advocate for persons with HIV/AIDS and helped to build support, information, and protest networks for use in their struggle. Through incessantly visible public advocacy from 1985 to his death in 1989, David Bell helped to put a human face on AIDS at a time when many Chicagoans were unfamiliar with it and when the current spectrum of AIDS organizations was much more limited. Bell lent his energies as an organizer, volunteer, and activist in the building of support, information, and protest networks. In the process, he attracted media coverage that further spread news about what AIDS really was and what could be done about it. Because of his activism and the connections he established, persons with AIDS were kept up to date on treatment and political issues. At the same time, Bell raised their morale by his visibility. In a May 1987 Chicago Sun-Times interview with Tom Bruné after being diagnosed a few months earlier with AIDS, Bell said: “People aren’t just dying with AIDS. People are living with AIDS. These people are not victims, and they shouldn’t allow themselves to be victimized by this illness.” Bell called attention to the need for support networks to help AIDS patients in coping with both illness and bureaucracy. Born in 1956, Bell had been in the music business since managing a Skokie high school rock band at age 13. He worked as a backstage manager, toured with well-known performers, and started his own Persona Records label. After his diagnosis, he abandoned the business, “switched gears,” and began AIDS lobbying. Bell urged AIDS patients to become more active in making decisions about their own care and services, and he demanded that government and social service agencies permit them such a role. He engaged in numerous public protests against the high cost or unavailability of anti-AIDS drugs. In August 1987, he was among those who chained themselves to the fence of Governor James R. Thompson’s Chicago residence to protest a legislative bill that would institute mandatory AIDS contact tracing. He was a cofounder of the Chicago chapter of the National Association of Persons With AIDS. He served on the Howard Brown Memorial Clinic speakers bureau, volunteered at a drop-in center for persons with AIDS and their families and friends, and led Chicago-area PWAs in the 1987 national gay and lesbian rights march on Washington, where he helped to organize a civil disobedience event at the Supreme Court. 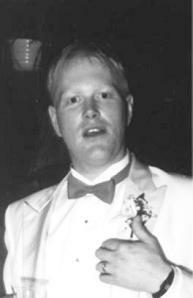 Bell was also a march coordinator for the NAMES Project in Chicago and made numerous panels for the project’s AIDS Memorial Quilt in honor of his friends. In addition, he helped to organize a succession of Chicago groups involved in direct-action AIDS protests, known by acronyms such as DAGMAR, C-FOR, C-FAR, ACT NOW, and ACTUP/Chicago. After his death, the nonprofit Harbor Home Support Services created and named the David Bell Memorial Pentamidine Clinic in his honor.